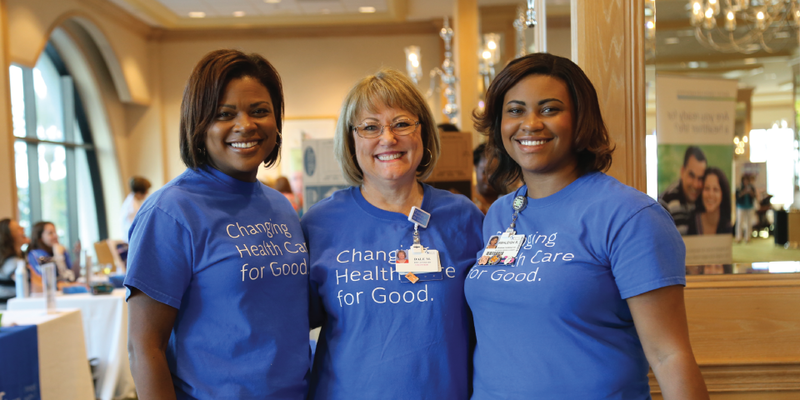 Join Baptist Health & WJCT for an uplifting day of health and wellness. Take time to reconnect with what’s good for you and enjoy a day full of inspiring wellness experiences, healthy eats, and door prizes. 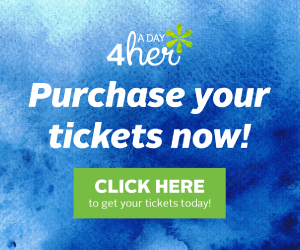 A Day 4her is a day for you to recharge, relax, and recommit to your health and wellness goals. So what is an A Day 4her Wellness Retreat like? At the morning registration, attendees will receive a beautiful gift bag filled with educational materials and gifts that are provided by local sponsors. They will also receive their schedule for the day. Each attendee gets to hand select the breakout sessions they want to attend when registering for the retreat. This year we’re trying something new – the A Day 4her Wellness Retreat will start with a 30 minute meditation, exercise, or stretching experience of your choice. It’s an opportunity to try a new form of activity or get in your exercise for the day. You can view all options on our registration page. After the exercise breakouts, attendees will head down to the main floor for a light and healthy breakfast. There will be time to visit the sponsor booths to learn more about local resources for health and wellness. Attendees will convene in the grand ballroom for a welcome from David McGowan, President & CEO of WJCT and Nicole Thomas, Hospital President of Baptist Medical Center South & A Day 4her Honorary Chair Person, followed by an overview of the day and an introduction of the guest speaker. This year’s keynote speaker is Bobbie Thomas, Style Editor for NBC’s TODAY Show, who will be joining later in the afternoon to dive into all things show biz, being a mom, and staying healthy. Following the morning welcome, attendees will head to breakout sessions. These sessions cover a multitude of topics – Beauty from the Inside Out, Financial Freedom with VyStar Credit Union, and Building your Personal Brand, among many others. Attendees can choose their experience and attend the breakout sessions that are important to their personal health and well-being interests. Throughout the retreat, attendees can also visit the Baptist Health 4her area to learn more about keeping yourself healthy and well. Attendees will then enjoy an elegant sit-down lunch with festive decorations that add to the celebratory atmosphere. This is an opportunity to make new friends and connect with others that may have similar healthcare concerns or interests. Following the lunch, attendees will hear from the keynote speaker, Bobbie Thomas, as she shares her story of starting a family, excelling in her career, and balancing her own business. And, last but not least, we’ll top off your day with terrific door prizes donated by many of the sponsors. Don’t believe us? Come to the A Day 4her Wellness Retreat and see for yourself!